You want your gift to be memorable. You should probably purchase a weird gift. Everyone has a different definition for weird gifts. Some people might think gag gifts are weird gifts. Other people might think that certain obscure or bizarre gifts are weird. Others still might think it is weird to receive a gift that is a normal object with a different aesthetic. In this article, we’ll set you on the path to weirdness by showing you ten of our picks for the weirdest gifts of 2018. 2 What Makes For A Good Weird Gift? These ten gifts have character and what you find here won’t be the same run-of-the-mill ideas you find everywhere else. Let’s take a look. The Kitchen Knife Set in Gift Box by Chef’s Vision – Cosmos Series is a perfect set of knives for someone who is a little bit different than everyone else. In this gift set, there are an entire set of kitchen knives made out of high quality steel. All of the handles are ergonomic rubberized plastic. Every facet of the blade has a no-stick coating. The handles are colorized so you can grab them from the block on the go. Most importantly, these knives have a beautiful and vibrant image of the universe on the facets of the blade. 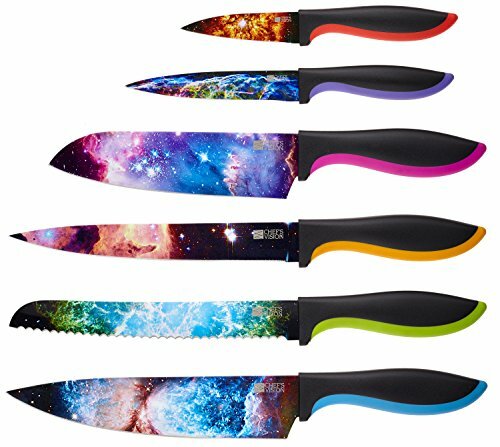 With these knives, you can admire the beauty of the cosmos while chopping your carrots. These knives are weird because they make you think about your place in the universe while cooking dinner. The Accoutrements Yodelling Pickle fills a very specific kind of niche in the repertoire of weird gifts. For someone who has a love for yodeling, this pickle will give them joy for years to come. The premise of the yodeling pickle is simple: it’s a pickle with a button. When you press the button, the pickle yodels. Batteries are included, so you don’t need to worry about making any additional purchases for your home pickle yodeling setup. It’s unclear who will benefit the most from this weird gift. Either way, it’s hard to beat the inventiveness of the concept. Crap Taxidermy proves that books can be weird gifts too. 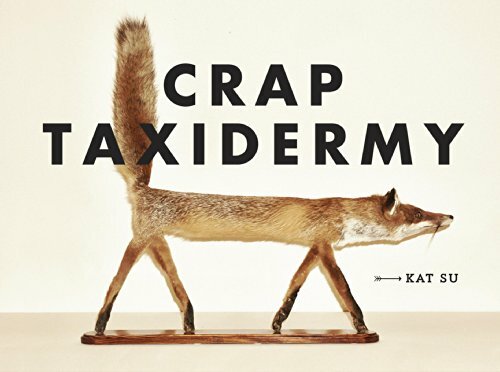 Crap Taxidermy is exactly what it sounds like: it’s a book of images of poorly performed taxidermy work. You’ll see everything from muskrats to deer propped up in unlifelike, totally implausible positions. The technical quality of the taxidermy jobs will be evident, too. Not everyone is a master stitcher or stuffer. And not every animal carcass is fit for being preserved by taxidermy. Nonetheless, these people tried. Whether they succeeded or not will be left as an exercise to whoever you give the book to as a gift. The Edible Insects Bag of Mixed Edible Bugs. Grasshoppers, Crickets, Silk Worms and Sago Worms lets you give the gift of eating tiny disgusting animals. 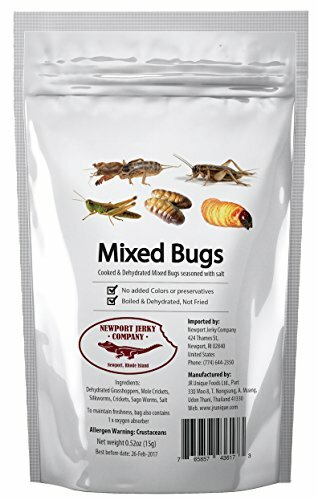 If your loved one really enjoys chomping down on bugs and insects of all types, this is the right weird gift for them. In the pouch is a smattering of various critters which have been dehydrated and lightly salted. You’ll find sago worms, crickets, grasshoppers, and more. And yes, they’re indeed edible. Most people find that they taste slightly cheesy or nutty, and a bit oily. For children or entomologists, this is a great weird gift. If you are trying to feed someone who is hungry, this is not the right gift. The Accoutrements Horse Head Squirrel Feeder is a hanging squirrel feeder which you can pack with all sorts of delicious nuts or grains. The squirrels will not mind the fact that they are fishing their lunch out of a disembodied horse’s head. The dinner guests may have other ideas. This gift is about as weird as things can get while still having genuine utility. Hanging this feeder is quick and easy. Whoever gets the gift may not decide to hang it, however. The main gag of this feeder is that when the squirrels stand on their hind legs to get into the food canister, they look like they are wearing a horse mask. The VBIGER Beard Hat Beanie Hat Knit Hat Winter Warm Octopus Hat is only weird when you stop to look at it for a moment. 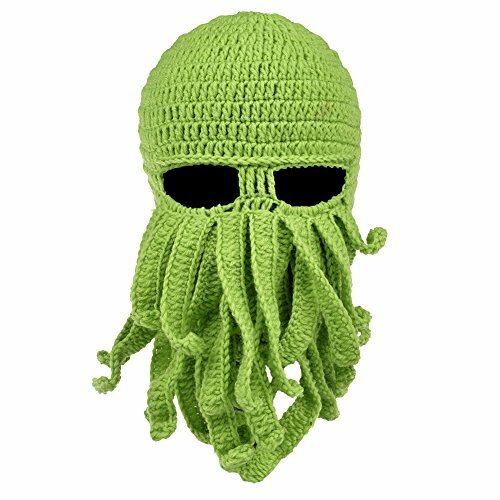 This is a typical knit beanie hat with an added face mask that is made out of knit tentacles like an octopus or perhaps Cthulhu. There’s little doubt that this gift is warm, and, in some circles, even fashionable. One size fits all with this gift, so don’t worry about picking out the right one for your gift receiver. You may want to pick one of the many color options depending on what they prefer. You can purchase the octopus hat in green, grey, black, orange, red, or orange and white. There are also a number of other variants which include beards instead of tentacles if you think the person you are giving the beanie to is allergic to cephalopods. 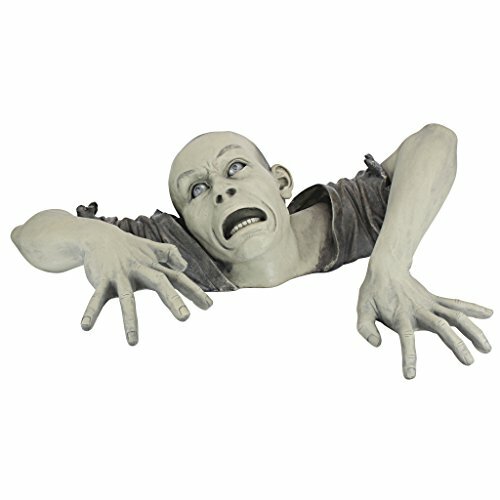 The Design Toscano The Zombie of Montclaire Moors Garden Statue Halloween Decoration is the perfect weird gift for someone who loves to put zany things in their yard. This gift is the upper torso, head, and arms of a man, who seems to be getting sucked into the ground. The man’s face says it all: he’s not happy to be struggling to the surface. He might even be a zombie. It’s unclear what the man is going to do if he gets out. Nonetheless, your relative or friend will appreciate a good statue in their garden if you get this gift for them. While it’s intended for use in the Halloween season, there’s no reason why you can’t leave this out all year long. 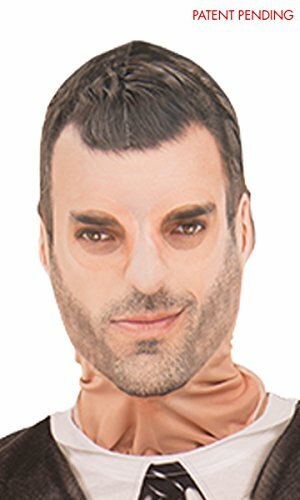 The Full Face Realistic Sublimated Fabric Costume Mask is an excellent gift for people who want to pretend to be someone else, but poorly. 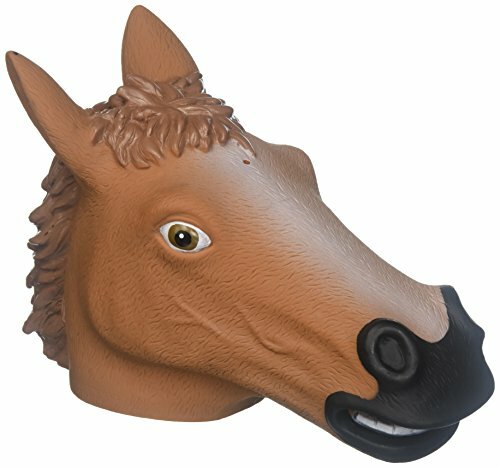 These masks are inexpensive and can be made in a variety of different faces. The masks aren’t comfortable, but that isn’t the point. Whoever gets this gift will love the cheeky look of a bizarre person rendered in polyester. 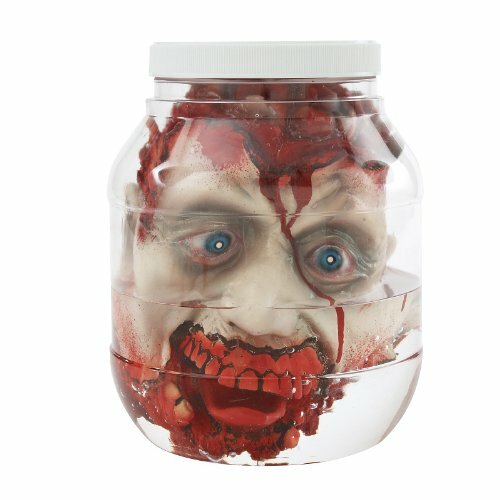 The Head in a Jar is another gift which could be great for Halloween or any other time of year. As the description implies, this gift is a head in a jar. It isn’t a real head, thankfully. The exposed brains may be somewhat disgusting to those who aren’t ready for it. If the gift receiver is easy to shock, this could be a great weird gift to send. Be sure to record their reaction. 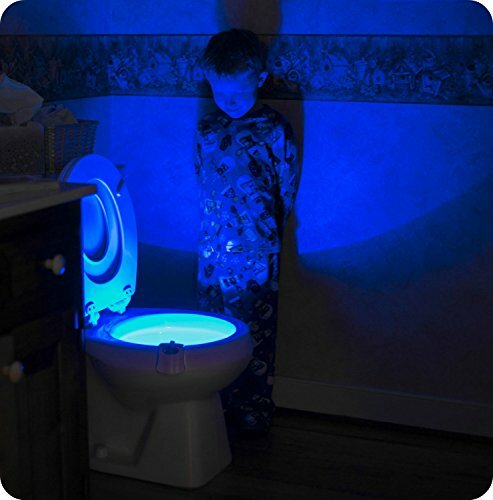 The RainBowl Motion Sensor Toilet Night Light is the perfect intersection of creativity and utility. If you’ve ever had to go to the bathroom in the middle of the night and been displeased by the harshness of the light in your bathroom, you’ll understand why this gift is worthwhile. Next time your gift receiver wakes up in the middle of the night to use the bathroom, they will be greeted by a delightful glow in the color of their choosing as they approach the toilet. The possibilities are endless. Want a more sinister bathroom experience? A deep red hue will make it so. What about a funkier and more lighthearted trip to the loo? Try the cyan or green colors. This gift solves a real problem while being weird, and it’s a cool toy whether or not it’s used in the toilet. What Makes For A Good Weird Gift? Think about the things that make a gift worthwhile. For weird gifts, it’s the same concepts but applied in a more entertaining format that defies expectations. The features that you’re looking for in a weird gift might be slightly different than the ones you’d look for in a normal gift, however. Your weird gift doesn’t have to be a novelty gift or a gag gift. It can be a useful gift if that’s what you think would be the best thing to get for the person who will receive the gift. For every purpose, there is a weird gift equivalent somewhere out there. Whether you find it or not is up to you. The way that many gifts signify their weirdness is by having an abnormal color scheme or aesthetic. Anything that violates expectations in a major way is fair game. Often, the aesthetics of a weird gift are the most important part. Likewise, many times the weird gifts go a bit off the deep end with regard to their look. It’s possible to purchase weird gifts that preserve a classy aesthetic, but you’ll have to work a bit harder than otherwise. The best gifts are memorable, and the best weird gifts are even more memorable. The most important reason that a great weird gift should be memorable is that the person will think of it often and hopefully enjoy the thought. Which gifts will be memorable to which person is a matter that you as the gift giver must resolve. Some people will simply shrug off something that is too weird and forget about it immediately. Others will be offended. Don’t try to maximize the oddity of your weird gift unless you think the person will like it. Instead, try to strike a balance between weirdness and the other factors we’re mentioning here. You’ll have much better results. Remember, the best way to make something memorable is to have someone continue to use it. As the gift giver, you’re communicating the fact that you care about the receiver by giving them a gift. But, you also want them to appreciate you as the person who gave them the gift. A common trope with weird gifts is that they can show off the giver’s personality. If you’re known for a certain style, you can rock it with a weird gift and really take things over the top. On the other hand, if you’re usually more conservative, a really outlandish weird gift might be even an even better commentary for the person who receives it. The sky is the limit with weird gifts when it comes to showing off your personality but remember that you’re not the one who will have to live with the gift afterward. Don’t mistake putting your personal flair into a weird gift as buying someone something that you would want to receive. You’ll need to pick something that the person enjoys first and foremost. The recipient of the weird gift is the most important person in the transaction. You should pick the weird gift to maximize their enjoyment, of course. Remember, you aren’t confined to “gag gifts” with weird gifts. What counts as a weird gift for one person might be perfectly appropriate for another person if their sense of things is entirely different. You don’t need to necessarily decide whether the recipient will think the gift is weird – usually, they will recognize the effort that you put into picking out a gift if their tastes are hard to satisfy. The tough part about buying weird gifts for people is that it’s tough to interpret what the person has said that they want and put it into weird gift format. You can try imagining yourself as a genie granting wishes in the most literal sense if that helps you get into the right mindset. Weird gifts don’t always have to make the recipient laugh. And weird gifts also are not obligated to be totally over the top. Each weird gift that you pick out should fill a certain need that the recipient has, whether they know that need exists or not. If you pick the right gift and deliver it suavely, you’ll get a good laugh out of the entire situation by the time they open it.